Walter Weyl was born in 1874. He studied at the University of Pennsylvania and completed a Ph.D. in economics. This included research into working conditions in the United States, England, France and Mexico. Sympathetic to the emerging trade union movement, Weyl worked closely with John Mitchell, the leader of the United Mine Workers. He also carried out research for the radical politician, Robert LaFollette. 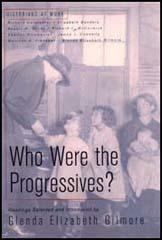 Weyl also provided articles on labor issues for journals such as the Saturday Evening Post, the North American Review, the Survey and the Outlook. This included pieces on the Industrial Workers of the World and the Lawrence Textile Strike. Although he held radical political views, Weyl criticized the syndicalist views of Bill Haywood and other IWW leaders. He wrote: "I do not believe that society can be changed as Haywood wishes to change it, or could remain 'put' if once organized on such a basis." 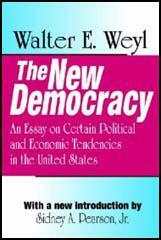 In 1912 Weyl published The New Democracy. In his book Weyl argued that "The old laissez-faire philosophy is done for and the old absolute socialism is dying in the embrace of its dead adversary." While Weyl conceded that Marxists had been motivated by a desire to bring an end to social evils, they were wrong to suggest that capitalism would guarantee the progressive impoverishment of the working-classes. In fact, Weyl used statistical evidence to show that the real standard of living of working people in Europe and the USA had risen considerably in the latter half of the 19th century. Weyl disapproved of social equality and called for the redistribution of wealth. He argued that wealth, or what Weyl called social surplus, was the product of all society and not of particular individuals. Weyl dismissed claims by socialists that it would be the working-class that would bring about the reform of capitalism. He argued that around 20 of America's 90 million people were either too rich or too poor to concern themselves with political reform. He believed that it was the middle-classes who offered the best chance of creating what he called the "new democracy". In 1914 Weyl joined Herbert Croly and Walter Lippmann in producing the New Republic, a magazine intended as a rallying force of the progressive movement. During the First World War Weyl protested at the way the administration of President Woodrow Wilson dealt with pacifists. He was also highly critical of the Versailles Peace Treaty predicting it would "accomplish next to nothing". Weyl was also shocked by the way the trade union movement was attacked after the First World War. He wrote "Marx stated the wage-earning class must await the slow evolution, but he could not have foreseen that the bourgeois themselves would create conditions so abnormal." He added that we were witnessing "the suicide of capitalism." Other books by Weyl included American World Policies (1917), The End of the War (1918) and Tired Radicals (1921). Walter Weyl died of throat cancer in November, 1919. The old laissez-faire philosophy is done for and the old absolute socialism is dying in the embrace of its dead adversary. The plutocracy is more and more opposed by an ever larger number of social groups and individuals, not only for what it does and for what it is, but for the deeper economic tendencies which it represents. Different men are arrayed against the plutocracy for 'different reasons. While, however, such common hostility is a sufficient stimulus to an aggressive campaign, it is not a basis broad enough for a constructive program. Unless the opponents of the plutocracy have some common positive aim, their antagonism will dissipate itself in abortive assaults and waste heat, without permanent influence upon social conditions. It was a capitalistic, legalistic, middle-class conception; it was an appeal to an international class interests, but it failed to exert any moderating influence upon rival nationalistic greeds. What is the issue presented by this Bolshevik denial of democracy? Are our own skirts clean? Is our democratic government adaptable and can it be made adaptable to a real industrial democratization such as the people want? The ultimate test is survival.